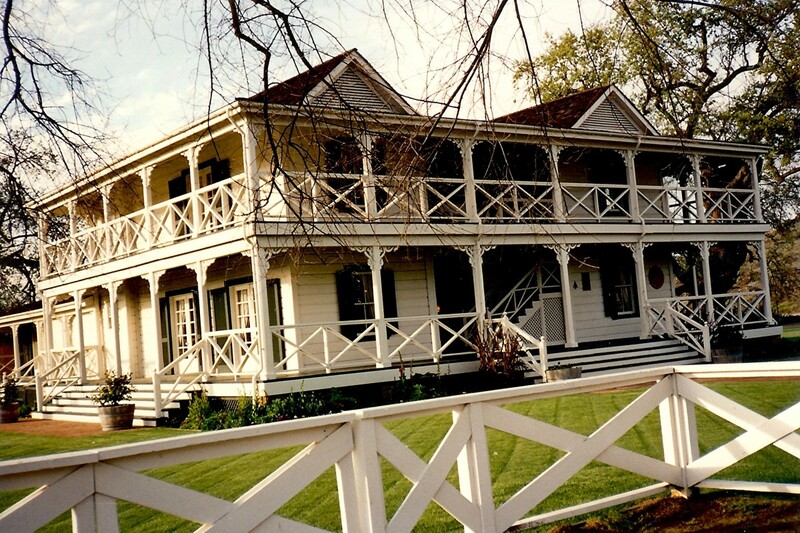 One very fond memory of one of our California wine country trips in late April of 1991 originated here at Lillie Langtry's house which is now used as a guest house for Guenoc Winery. After flying from Houston to San Francisco, we rented a car and drove to the winery which is located at the northern part of the Napa Valley stretching into Lake County. It was prearranged that we would be guests of the owners of Guenoc Winery. It just so happened that we were the sole occupants of the guest house that night. It is a sprawling and beautiful old Victorian house and we had our pick of the bedrooms. Naturally we chose to stay in Lillie's old room. Suffice it to briefly say that she was a famous stage actress well known to European and American theater-goers in the late 19th and early 20th century as well as being known as an International beauty. She was also "favored" by British royalty and was beloved by many men in her life. Her nickname was the "Jersey Lily." 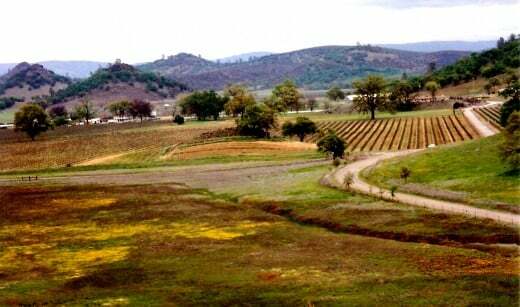 In 1888 she purchased 4,200 acres of land in the Guenoc Valley and decided to make wine. She actually brought a French winemaker from Bordeaux by the name of Henri Descelles to accomplish that goal. Her likeness was placed on the labels and Guenoc wines today still sport that image of her. 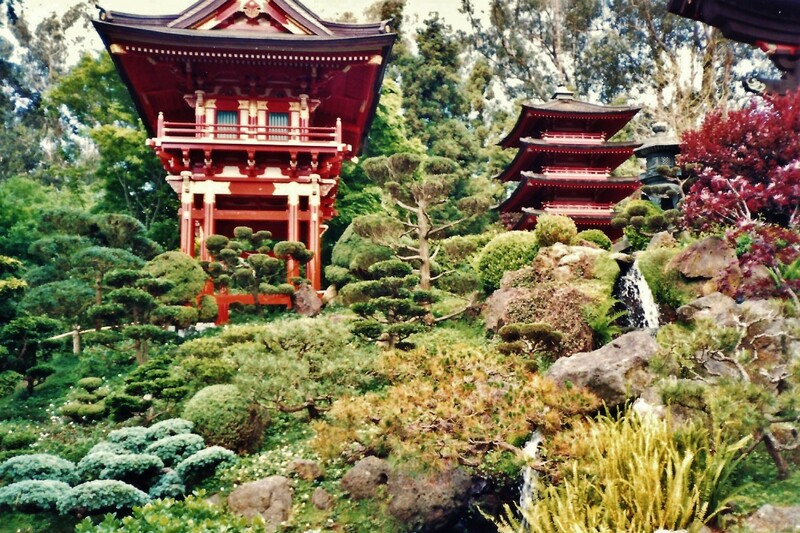 The grounds surrounding this expansive old Victorian house are beautiful. 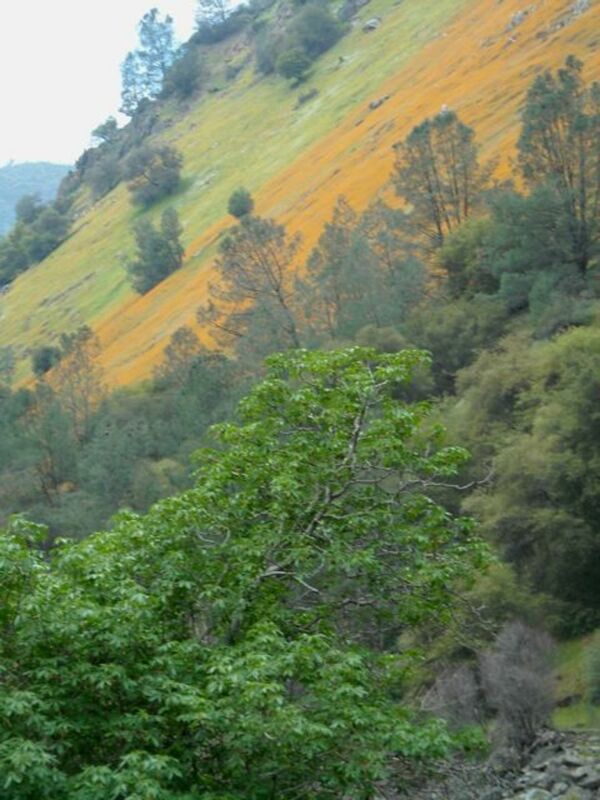 Rolling hills and fields of orange blooming poppies painted our view wherever we looked. After we were let into the house and had time to look around, we decided that we wanted to sleep in Lillie Langtry's bedroom. How many people can say that? We thought that it would be fun. Supposedly her favorite color was yellow and her bedroom was certainly ablaze with variations of that hue. Some old wallpaper in the closet might have actually been what she had personally selected. Most of the furnishings in the house are no longer original to what Lillie Langtry had owned with the exception of a beautiful old gramophone which did belong to her. 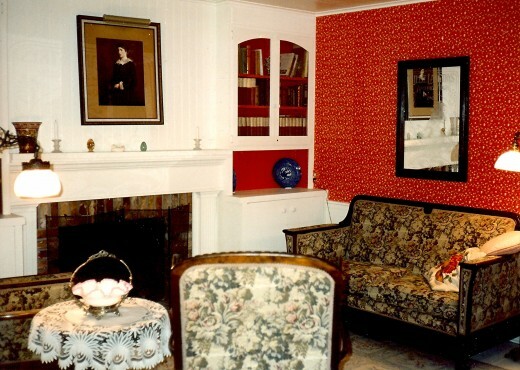 The furniture in the house replicates what would have been the style to suit the period of the late 1880s. 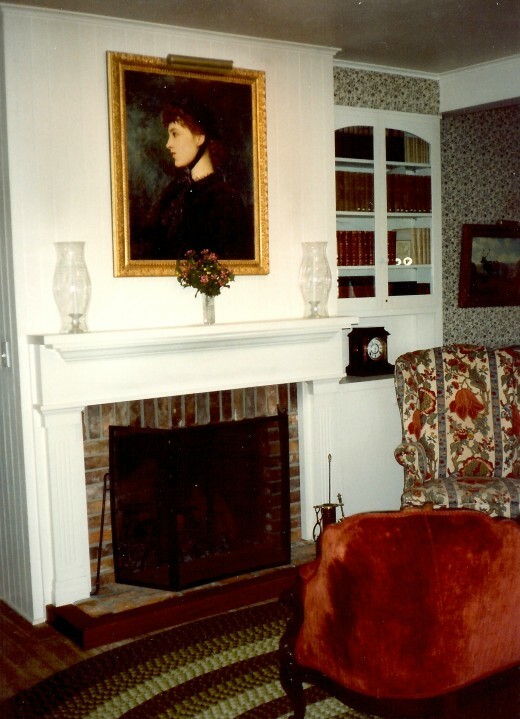 The downstairs parlor was comfortable and over the fireplace was a portrait of Lillie. 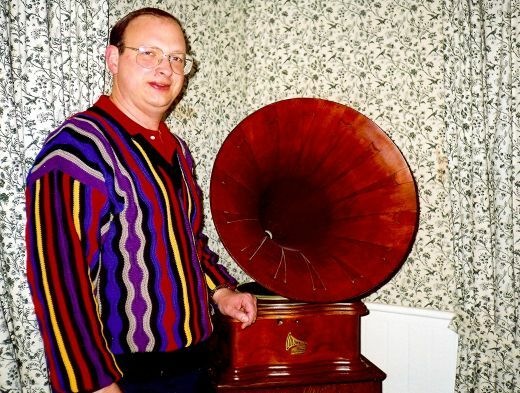 In one corner of the dining room was the wooden gramophone that was originally hers. Upstairs there was a parlor separating her room from Freddie Gebhardt's room. He was one of her male friends who also owned property adjacent to hers. Having driven through the little town while getting to our specially arranged lodging for the night, we spotted a couple of restaurants and thought that we would probably pick one of them in which to have supper that evening when we were surprised by a telephone call. Karen Melander-Magoon invited us to join her for a tour of the vineyards. She picked us up and began to show us some of the vineyards nearby. Karen brought some Guenoc wines to taste as we looked down upon the land where the grapes were grown. This was such a wonderful treat and totally unexpected. We knew that a tour of the winery was arranged for the next day. We were getting along so well that instead of inviting us to join her at one of those restaurants in town as she had planned to do, she instead invited us to continue the evening in her home on the estate. Of course we said "yes!" 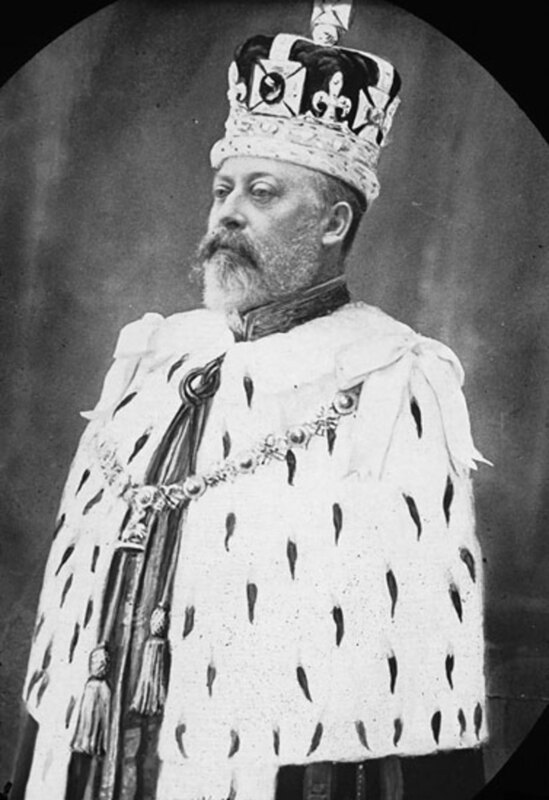 We learned that the Magoon family had been huge landholders in Hawaii and had descended from Hawaiian royalty and Chinese nobility. 23 acres of land that was needed for the University of Hawaii was converted into 23,000 acres of California property. 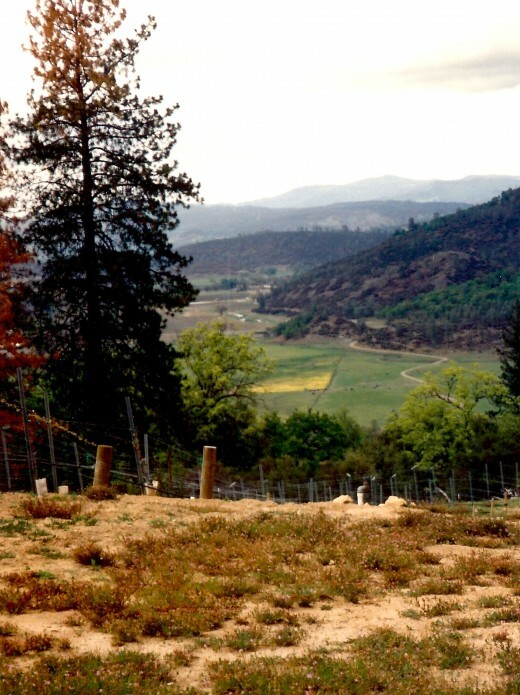 Most of the land is utilized for ranching but a portion was already started by Lillie Langtry as a vineyard, and the Magoon family decided to pursue an expansion of that and have obviously done so successfully. Karen who is Orville Magoon's wife takes an active part in the winery. She handles public relations and marketing for the winery but also had an interesting career prior to that. 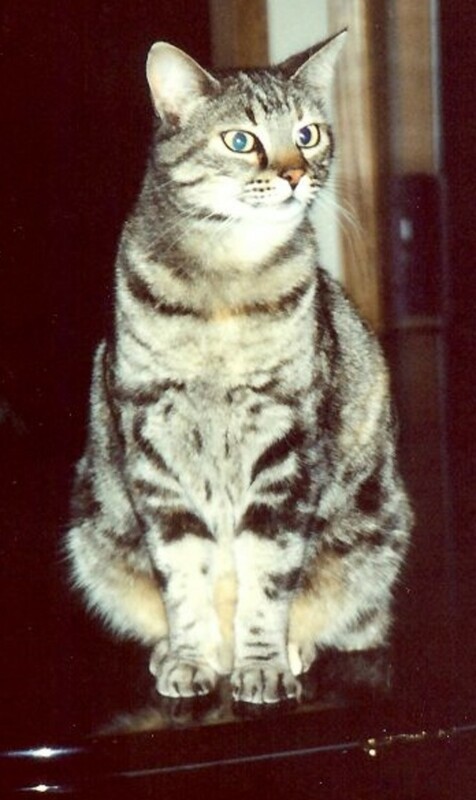 She sang opera for twenty years in Austria and Germany. Orville was on business in Hawaii so we did not get to meet him. But Karen pulled out all the stops! She thawed some wild boar out of her freezer and made a delicious lasagna along with a wonderful fresh salad picked from her garden filled with fragrant herbs all of which she grows. Homemade brownies completed the meal. Wild boar roam the estate. Hunting and fishing is an added attraction for those fortunate enough to be invited by the Magoons as guests. A very special treat was her singing! Karen taught us "The Wine Song" that she had created and after dinner I joined her in some songs while she played her baby grand piano. It turned out to be a very late night but one that will happily remain in our memory banks forever! We met Karen the next day after a little sleep following our wonderfully entertaining night at her home. At the winery were two friends of Orville's who had come primarily to do some fishing on the grounds of the estate. Karen gave the four of us a full tour of the winery and the original Langtry vineyards. We were driven in a 4 wheel drive vehicle over very bumpy terrain. Lillie would have been driven over the same roads in a stagecoach! It would have been even more jostling for her since stagecoaches did not have rubber wheels as we had. 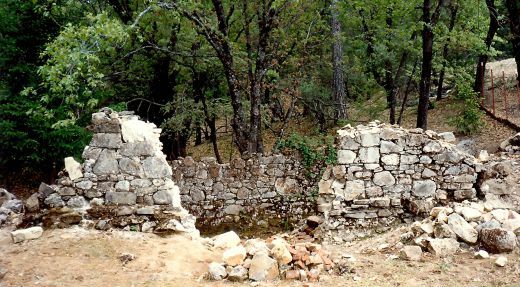 We saw original winery ruins. 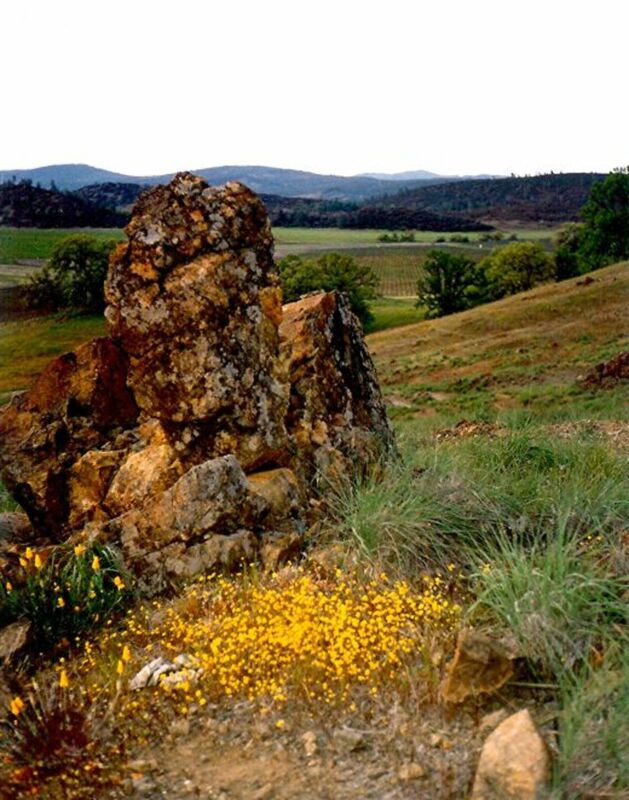 We also passed an Indian burial mound which is being protected from any kind of development on the way up to the top of the old winery and vineyards. What can I say about this visit? Superlatives cannot quite capture the fun and memories that were embedded into this experience. We were to move on to other sights and some more vacation fun but the Lillie Langtry House and Guenoc Winery will remain a part of us always especially because of our most generous and vivacious hostess, Karen. 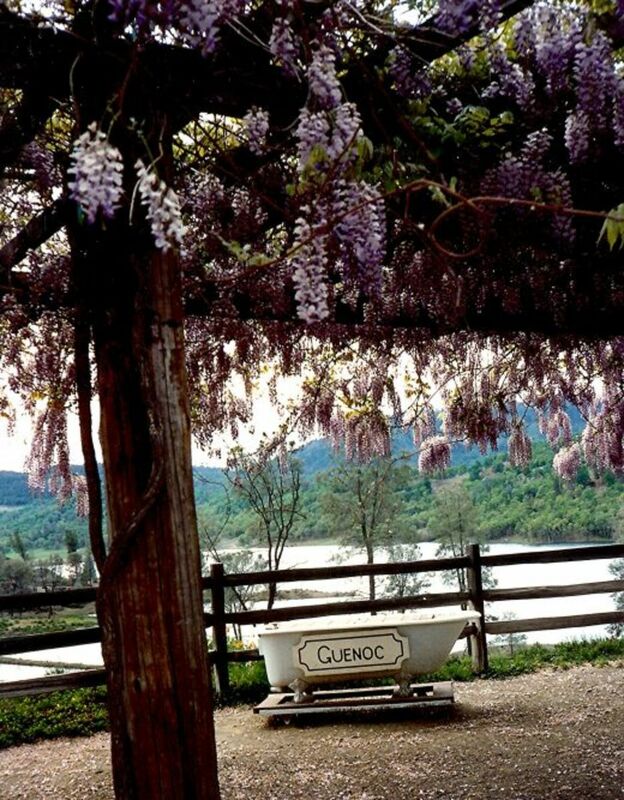 If you enjoy visiting the wine country in California, think of visiting Guenoc Winery whether or not you get to spend the night in Lillie Langtry's bed. The scenery is beautiful as hopefully some of my pictures will have shown. Of one thing I am certain. You will love the hospitality shown by the nice folks at Guenoc Winery while you sample their luscious wines. Langtry Estate & Vineyards winemaker Eric Stine doing manual punch downs of Petit Verdot for 2010 harvest. 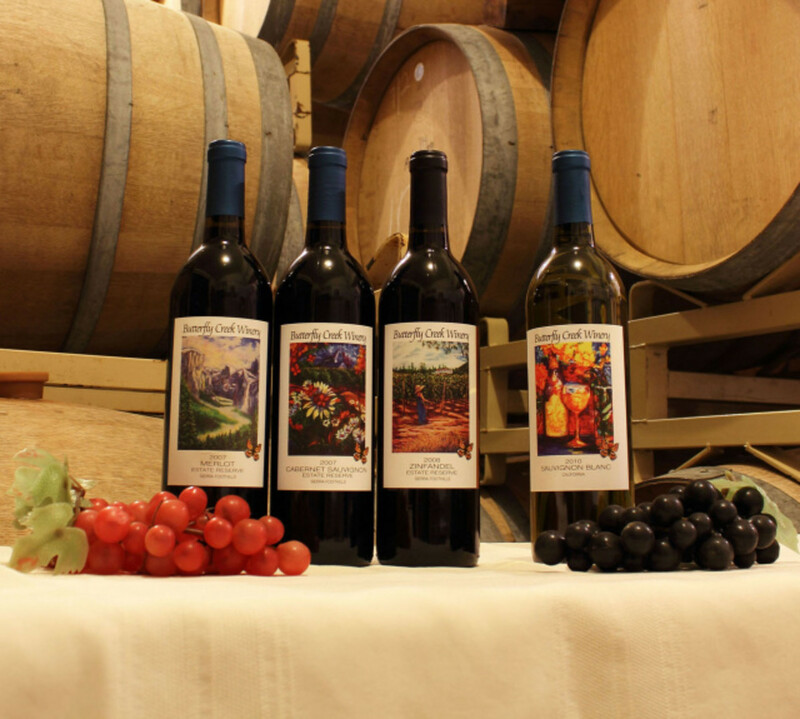 Do you like visiting wineries? California certainly is a beautiful state! In what part of California did you live? I think that more people would be tempted to live there except for the high real estate prices. 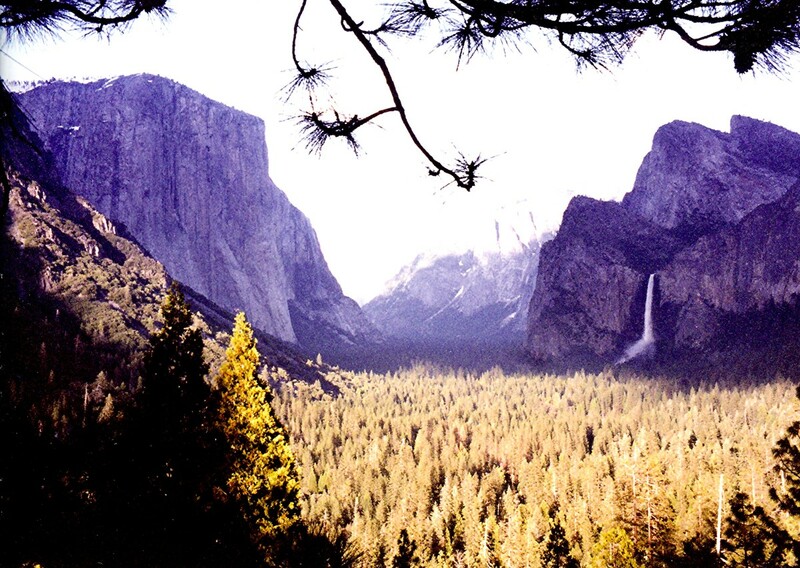 Nice that you enjoyed the parks and historical places of interest while you were living there. Thanks for your comment + votes. What an interesting and enjoyable experience! I lived in CA for almost 20 years and loved it. There are so many parks and historical places of interest to visit there for free or for very low cost, and the weather is so temperate. Perhaps I will return one of these days! That was a special treat indeed to be able to stay in Lillie Langtry's home which is now a part of the Guenoc Winery estate. 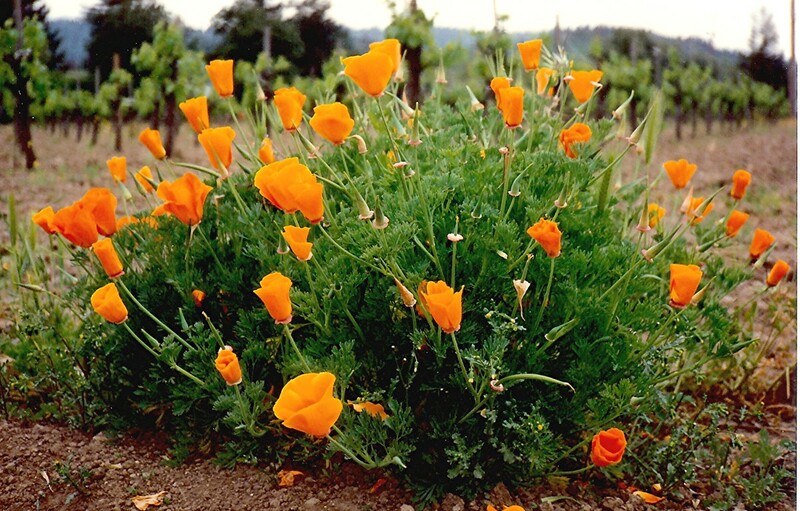 My husband and I have had some fabulous trips out to the California wine country. It is a great destination for those who enjoy tasting different wines...but also for the beauty of the place. Never did get to take a hot air balloon ride over the vineyards. That is still on my bucket list. Thanks for your votes + the share. Gorgeous photos and videos as always! Your visit must have been so exciting and to have slept in the same bed as Lillie Langtry besides! I'm sure a lot of people would love to be able to say they have done that. 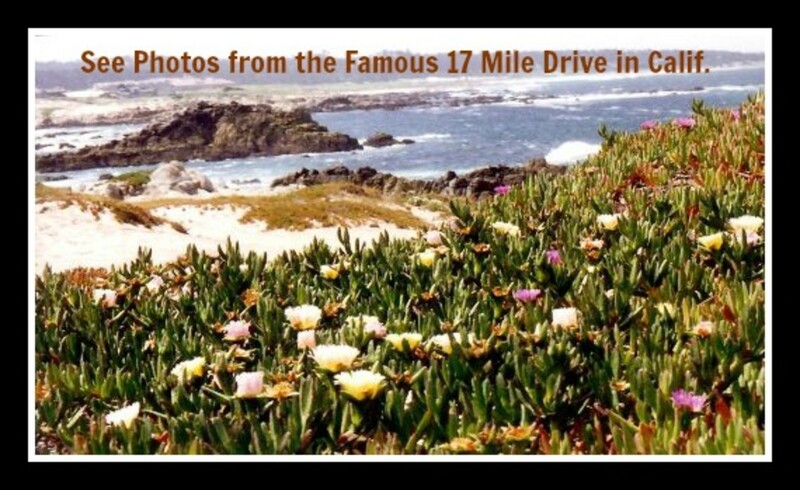 A wonderful recollection of your trip that will be helpful to people who are planning a trip to California's wine country. Voted up, interesting, and beautiful. Will share! My husband and I have been fortunate enough to visit some amazing wineries in California and elsewhere, including some here in Texas. He has even gotten to see some wonderful ones in Italy. I have used his photos and have written about some of those experiences as well. Perhaps someday you will get to visit one or more. 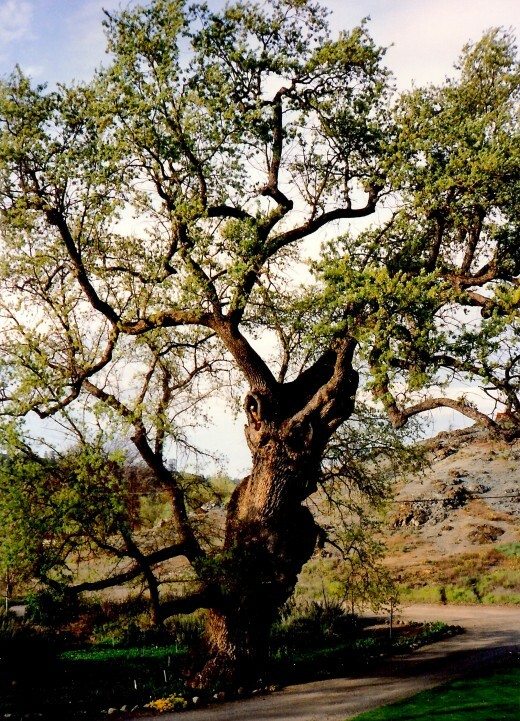 Getting to see Guenoc winery in the manner that we did was truly special! Thanks for your comment. I have never been to a vineyard or winery. Perhaps, I should. Your pictures and story both are amazing. So nice to hear that I captured the essence of visiting Lillie Langtry's house as well as Guenoc Winery with photos to make you feel as though you had been there yourself. Thanks for your comment and votes. Hi Peggy. This is an enchanting read with awesome pictures ; almost like visiting Lily Langtry's house and winery myself. We certainly did feel very special on that trip to Guenoc Winery and were treated royally. Lilly Langtree's house is amazing & as you noted, the scenery is spectacular. Thanks for your comment, votes and the share. Yes, Lillie Langtry was certainly a talented and interesting lady. It was a wonderful treat to be able to be guests of Guenoc Winery and actually spend the night not only in her home...but in her bed. Something we will forever remember! Thanks for your comment and the share. Wow! Sounds like you and your husband received VIP treatment and I felt like I was right there with you on your awesome stay at Lillie Langtree's house. Her yellow bedroom looked so bright and cheery and the grounds and surrounding land is magnificent. Voted this hub up across the board and am sharing it. This is definitely my idea of a fun and exciting vacation. Oh my gosh Peggy but is this a hub after me own heart. Thoroughly enjoyed reading about the trip, the history and pictures! And the vid watched too. Read a condensed story in Readers Digest about the Jersey Lily 20 years ago so all here is such a treat. She was a beautiful and talented woman who lived a remarkable life. Count on this being shared again! 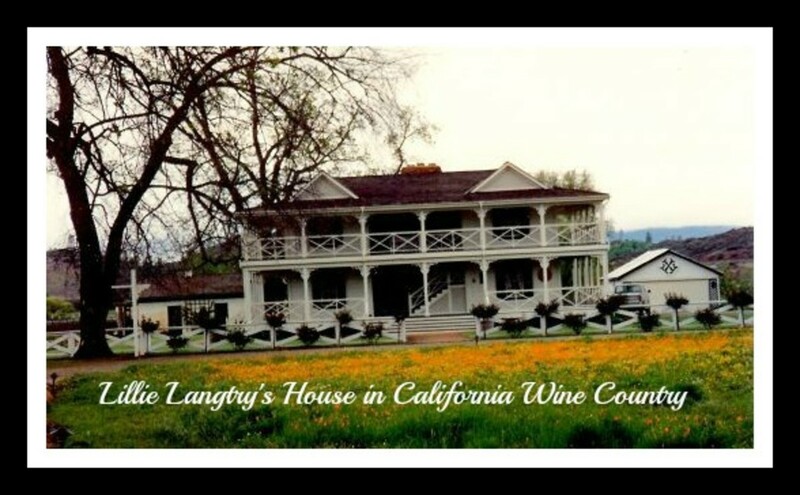 Visiting Guenoc and getting to stay in Lillie Langtry's house was quite a treat on one of our past wine trips to California. Glad that you enjoyed getting to see it via this hub. Peggy thanks for more insight on your California wine trips - tons of information and ideas for planning a week or two visiting the vineyards. Yes...staying at the home of what used to belong to Lillie Langtry ( now Guenoc Winery ) was a treat indeed. Just one of the exceptional experiences we have had in California. Thanks for the visit and comment. OMG How fun that must have been. What a beautiful home and land. I enjoyed reading your hub. Filled with lots of info and well written. Thanks for sharing. 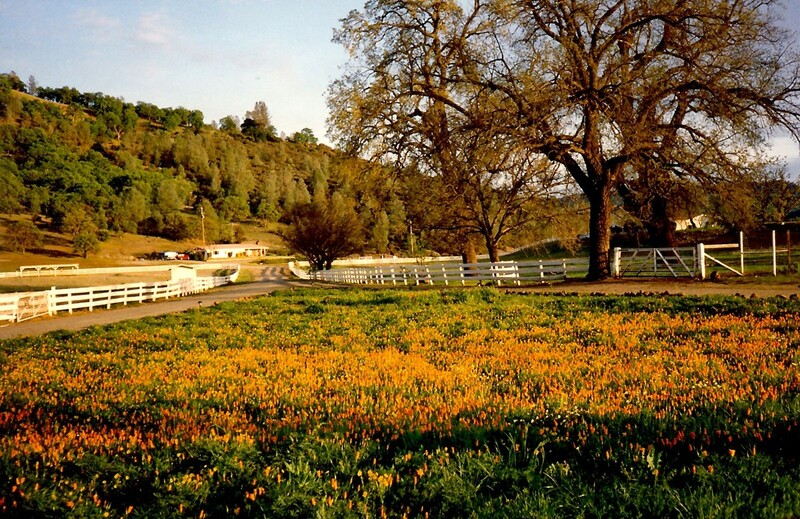 Very happy to hear that you enjoyed this hub about Guenoc Winery in California and our experience of spending the night in Lillie Langtry's bed. That is a memorable experience we will never forget! Thanks for the comment and adding that bit about Lillie Langtry also being honored in Virginia City. I was hopping around again and came across this hub about Lillie Langtry. Great hub! I often go to Virginia City in the summer months and Lillie Langtry is one of the historical figures honored there. I love reading about her and her life. Thanks for sharing such wonderful pictures of her home. No, Lillie Langtry never visited the town named after her by Judge Roy Bean nor did they ever officially meet. He was enamored with her from afar. Thanks for the interesting question / comment. 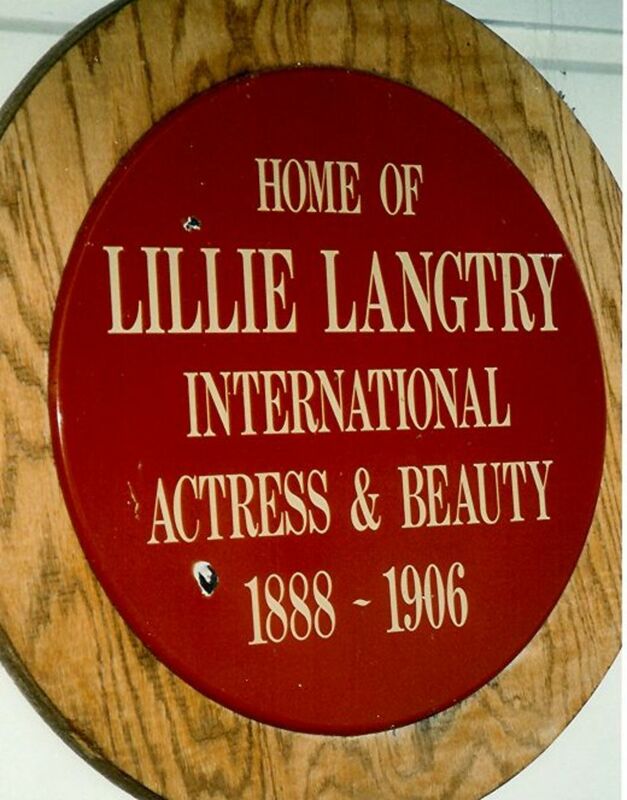 Is it true that Langtry, a little town in far West Texas, was named for Lillie? If so, did she ever visit there? Then you have seen things and probably know things about her that I do not. 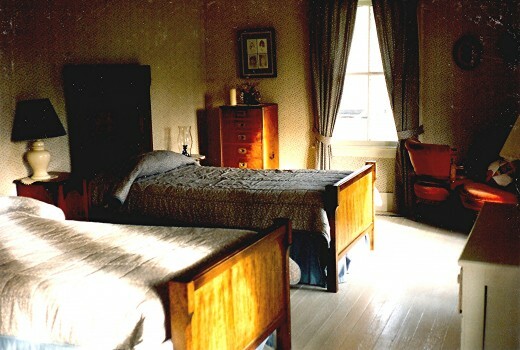 Spending the night in Lillie Langtry's bed at Guenoc Winery was a once in a lifetime treat for my husband and me. Getting to learn about her investment and way of life on this side of the ocean was fun. 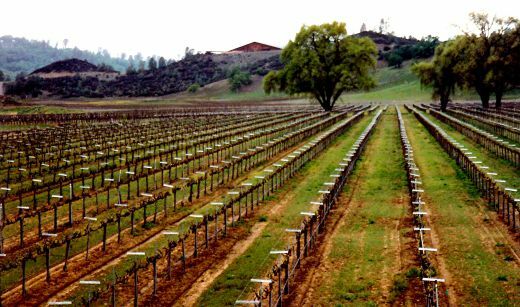 The vineyards that she started are still in existence today. I know about lillie Langtry i learn about over in the Jersey island were she came from. i have been there a few times and i love it so. Yes, she certainly had an interesting and varied life! Thanks for commenting. I knew LL visited America after her affair with Bertie ended, but had no idea she bought a vineyard, let alone lived there. How interesting! The things you learn here at Hubpages! Hi Teresa, Civilized yes......and also fun! Hello LondonGirl, Don't know about being "hot stuff" but it certainly was a privilege to be able to experience that part of our wine country trip in that special way. Also learned more about Lillie Langtry than I had previously known. Iphigenia hopes that it "was also romantic..." Blush! Hope that is enough of an answer! Ha! How interesting -- sounds like a very civilized way to spend your time!